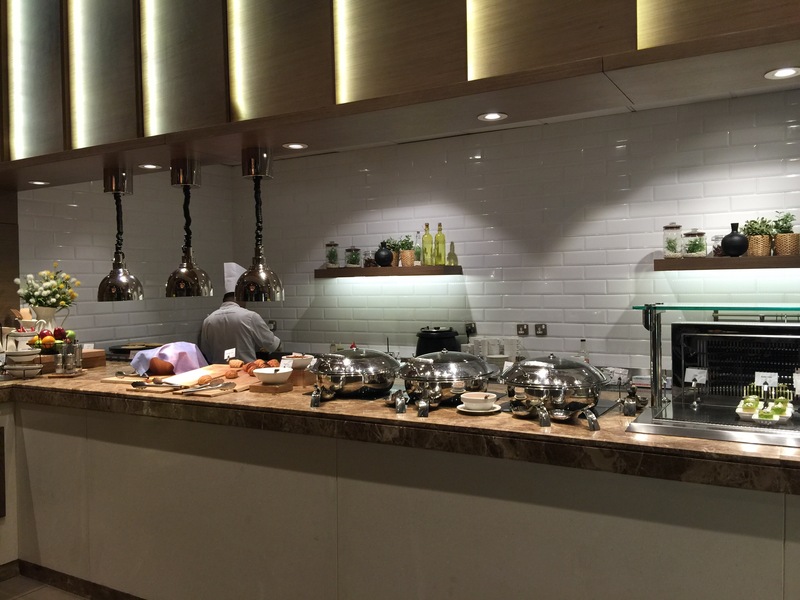 Are pay to enter airport lounges, worth the money ?….. I hate to travel , If I won the lottery tomorrow I’d be down to the Lear jet showroom in a shot . For me it’s the whole rigmarole of dragging to the airport , going through numerous security checks then having to trawl round the terminal looking for a spare seat away from the crowds with a plug socket and some free wifi is like mission impossible. 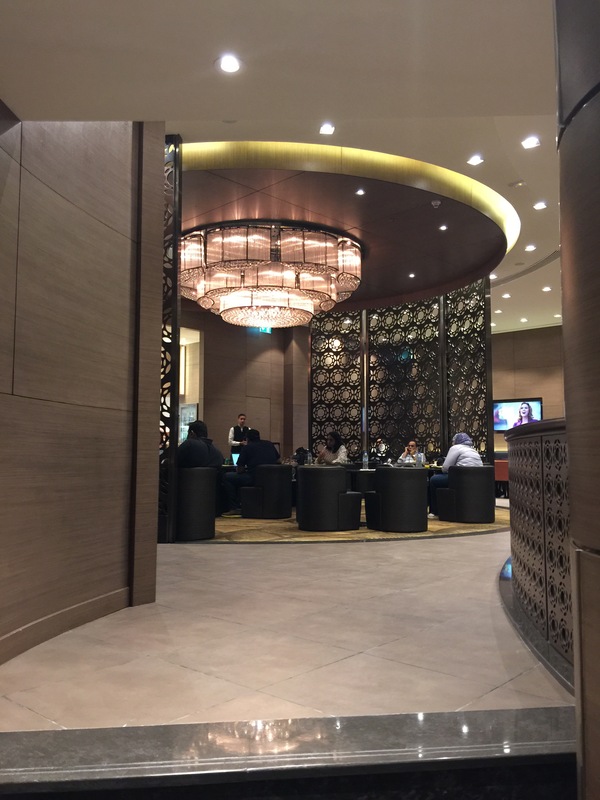 So when the lovely folks at Plaza Premium Lounges offered me the chance to check out their Abu Dhabi pay airport lounge on my way back home to the UK this week, I was more than happy to stop by and take a look. 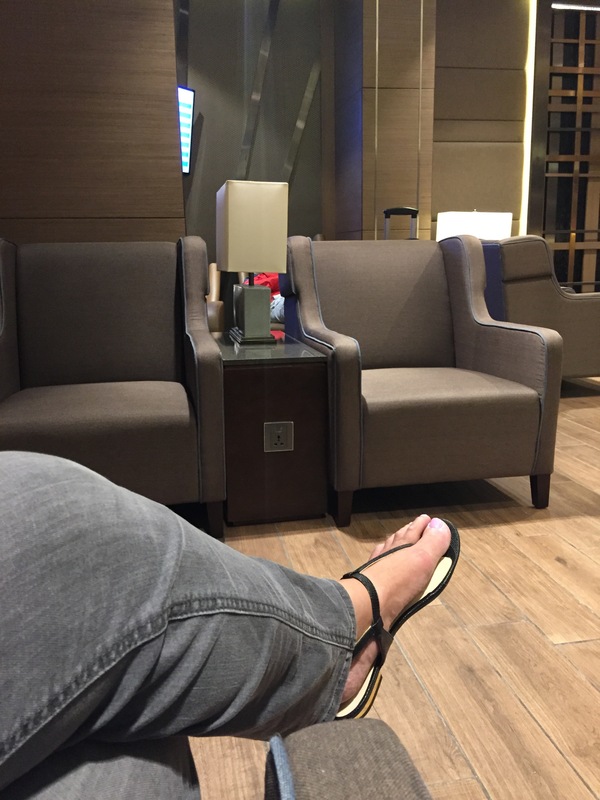 Usually in order to enter the world of the plush airport lounge you either have to shell out megabucks on a premium ticket or amass a squillion airmiles to step over the threshold. 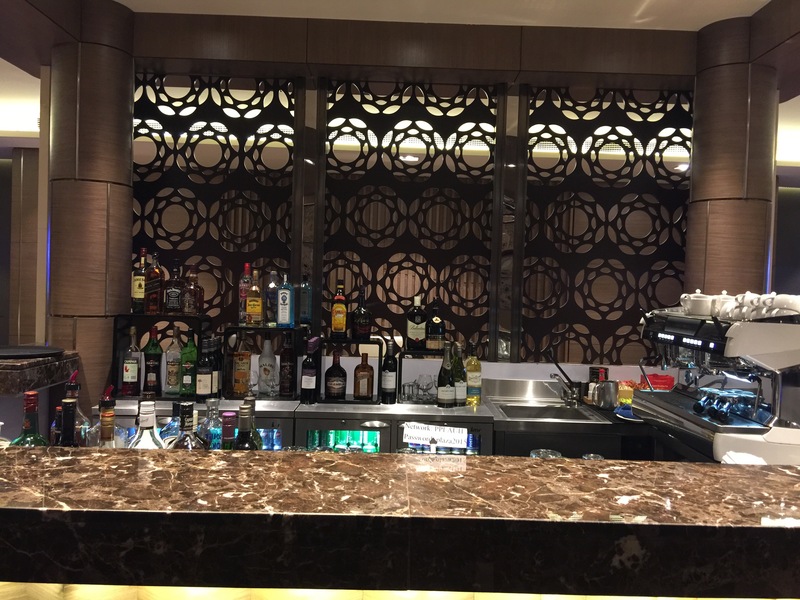 But not anymore , with lounges in 35 airports including a brand new opening in Heathrow T4 just this month, Plaza Premium are bringing a bit of luxury to the masses. 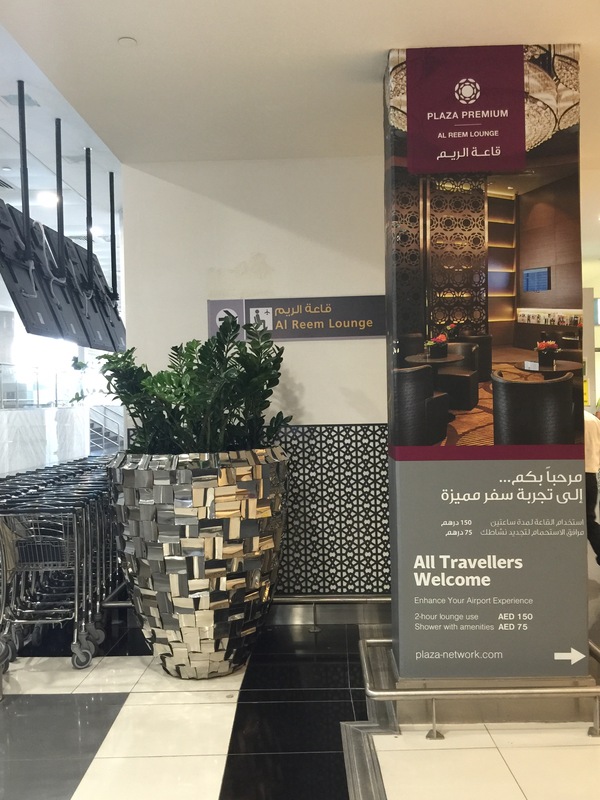 So after getting airside , I made my way to the Alreem Lounge. I was greeted at the entrance desk desk, and with a quick scan of my boarding pass, I was rest assured that even if I was having a good time I wouldn’t miss my flight which was reassuring. Inside, the lounge is on 3 levels, with zoned areas for eating , watching the big screen TV , a bar and most importantly a quiet zone ideal for grabbing a snooze on one of the lazy boy chairs. As with a traditional lounge there was plenty of food on offer from a snack to a full hot meal with a an alcoholic bar. 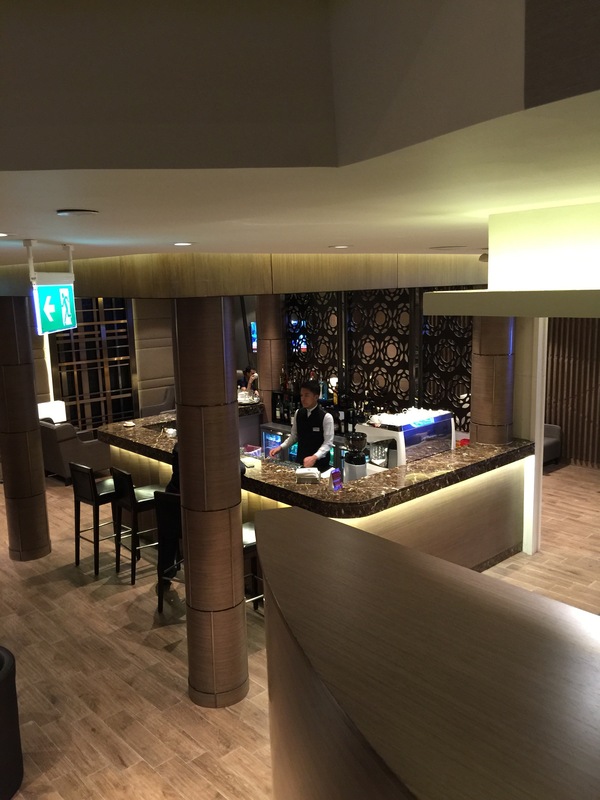 As someone who usually avoids plane food, eating in the lounge is the perfect solution, I would normally pay to eat in one of the airport restaurants before my flight , where here a meal is already included in the entry fee. 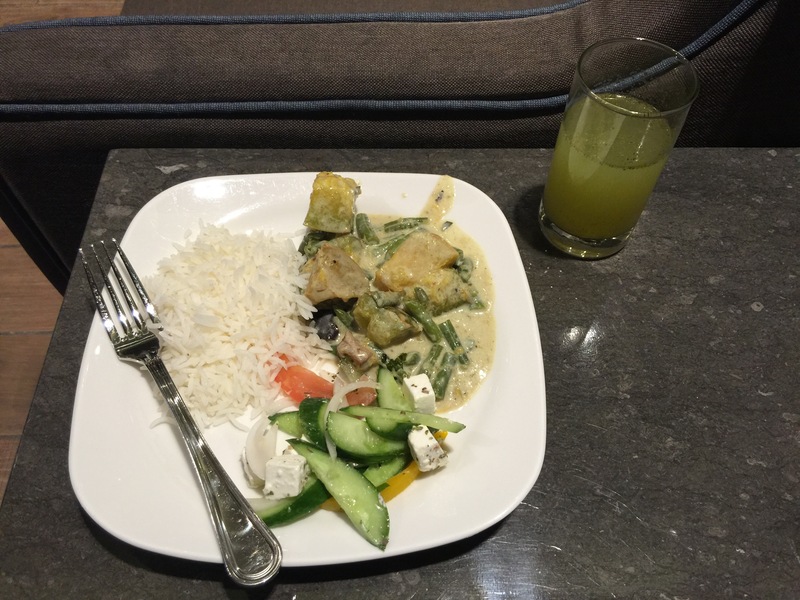 As well as a constant supply of tea, I had a lovely Thai green curry which was excellent. And with plenty of plug sockets to go round and fast wifi access, my 2 hour stay flew by. But Is it worth it ? entrance here is 150Dh so roughly £25 or $40 for a 2 hour stay. For me its a small price to pay to escape the crowds in the terminal , especially when your travelling in economy on a long haul flight, I found it the perfect way to relax, so I’ll certainly be looking out for Plaza Premuim’s other 34 locations in the future. 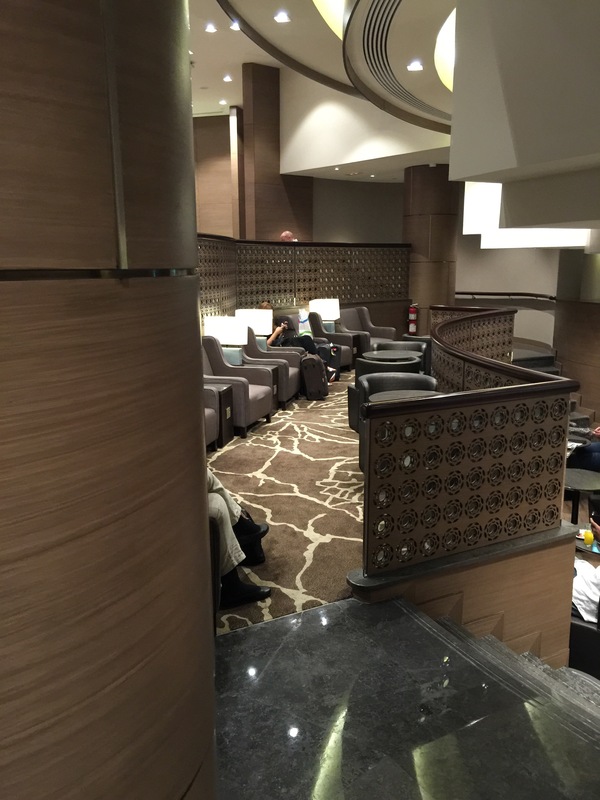 Is it worth paying shelling out $40 for the airport lounge. Sometimes it is! Especially if you’re flying longhaul on Economy or there are long delays…! 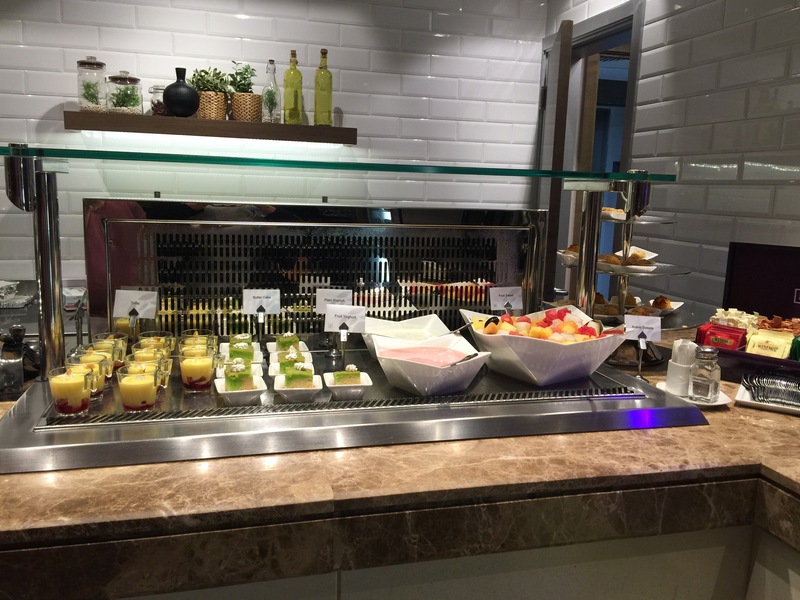 If youve got a long layover , and you plan to eat in the airport, you dont get much change from £30 each anyway so you might as well visit a lounge but be beward as not all pay lounges are created equal so do your research.